“Yes is the answer.” But what’s the question? 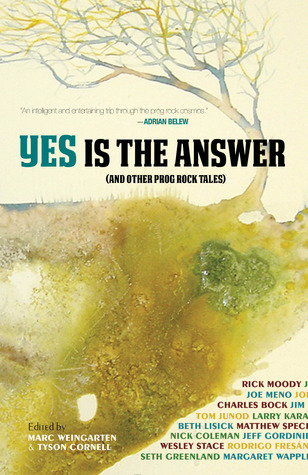 Maybe: Why is progressive rock – one of the most reviled, dismissed, sneered at and laughed at genres of music – able to elicit a book’s worth of homages by a collection of writers including journalists, novelists, musicians, and even a professional organizer? Yes (the band) is but one answer, and writings such as “Yes Is No Disgrace” and “Do Gay Guys Like Yes?” expound on this. For the other answers, well, you’ll have to read this thoroughly engaging and always entertaining compendium of essays. The storytelling is so laced with humor and poignancy that even if you don’t especially care for prog, you’ll be checking out the bands on YouTube before you can say “Brain Salad Surgery”. But hey, why resist the allures, the hidden charms, the oft times ridiculousness, the sheer grandiosity of prog? It’s easier just to say “yes” and let the music in.